Looking for some fresh new lead generation ideas? How does 50 sound? The lead generation process is tough, it’s ongoing, and it can be easy to get in a rut with your ideas. Sending out cold emails and LinkedIn invitations can only do so much for your business. If you’re looking for a few ways to renew your lead generation efforts online, you’re in luck, because we’ve put together 50 lead generation ideas in one downloadable eBook. Never run out of ideas again! 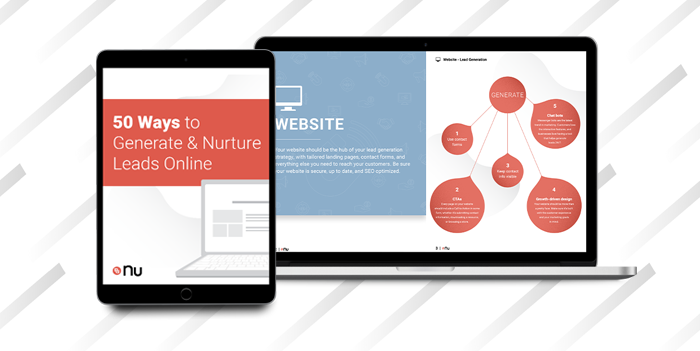 This eBook is full of ways to generate and nurture leads through your website, social media pages, email marketing, and more. Fill out the form to get this idea book!